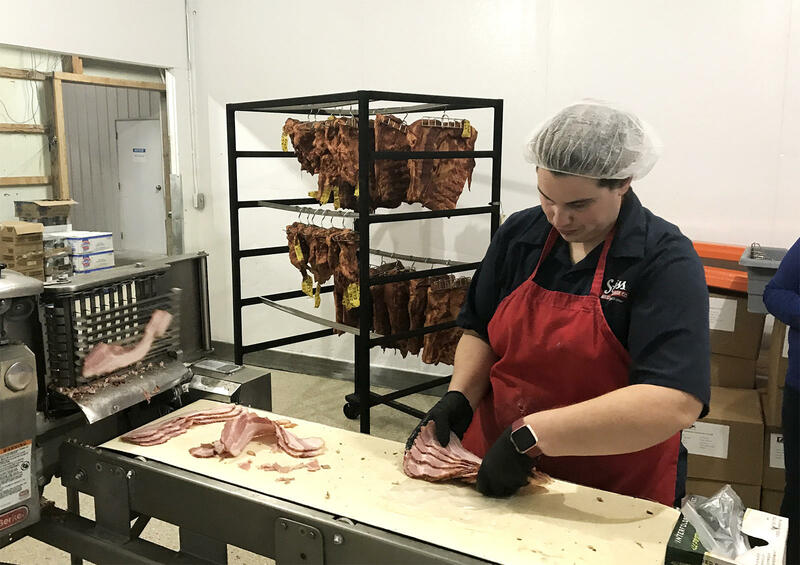 A worker at Swiss Meat and Sausage slices bacon for a special order. 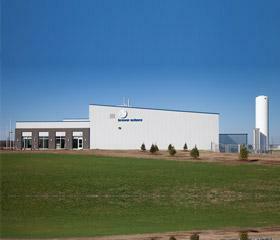 The company is hoping internet orders will be a growth area, but access to high-speed internet is a barrier. “When it goes down, we can’t get the orders,” she said. It’s Thomas’ biggest barrier, and she’s not alone. 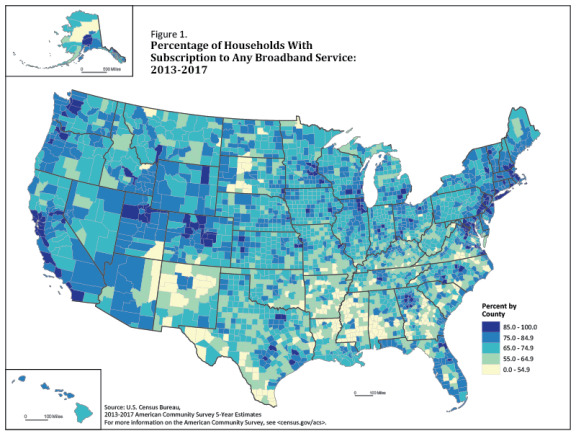 A December 2018 study from the U.S. Census Bureau shows rural counties have significantly less access to high-speed internet; in 2016, the Federal Communications Commission said 39 percent of rural Americans are without it. Missouri has 30 counties where more than a third of homes and businesses do not have access to high-speed internet service; Illinois has 14, Nebraska has 8 and Colorado has six. There’s no single, unified effort to resolve the problem on federal, state or local levels, making it tough for businesses looking to move in and economic development more difficult for regions that need to attract those jobs. Harvest Public Media's Jonathan Ahl looks at how rural businesses rely on more than just government funding for better broadband access. Brewer Science, a microchip manufacturer in Rolla, Missouri, found that out firsthand when it tried in 2013 to build a new manufacturing plant in the nearby, but small, town of Vichy. “The infrastructure situation was a mess,” network administrator Ron Chinn said, adding that water and electricity were easy, but it took a lot of work to get an acceptable level of internet access. If it weren’t for the commitment of Brewer Sciences owner Terry Brewer, who is from the area, Chinn said the company wouldn’t have done it. Rural areas faced a similar technological problem century ago — the lack of electricity. But the federal government stepped in during the New Deal with the Rural Electrification Act of 1936, which essentially created electric co-ops to string up power lines and consolidate distribution points. But despite overtures from President Donald Trump and Agriculture Secretary Sonny Perdue in the last two years about the importance of widepsread broadband, Stewart said there won’t be a concerted, centralized push. “The idea that there is going to be a sweeping, federal effort to just fund broadband for the country, that’s probably not going to happen wholesale,” Stewart said. That said, the USDA announced in December it is offering $600 million in grants and low-interest loans for help expand broadband in rural areas; applications are this spring and summer. That’s on top of more than $700 million put toward in other federal rural broadband programs in first two years of the Trump administration. Some states also have grant and loan programs. For example, Missouri Gov. Mike Parson proposed $5 million in rural broadband assistance during his January State of the State address, and in Iowa, Gov. Kim Reynolds requested $20 million for rural broadband in her Condition of the State message. But until there is improved technology to make it easier and cheaper to expand broadband in rural areas, businesses will have to rely on other agencies — like ISPs, electric co-ops and local governments — to apply for the federal money. And there’s more at stake than just economic development, according to Tim Arbeiter, who is the Director of Broadband Development for the Missouri Department of Economic Development. It’s an office that is only six months old, and they haven’t yet developed a plan on how to specifically help businesses like Swiss Meat and Sausage or Brewer Science. He said high-speed internet issues is the part of threat to the small-town way of life in America. It affects schools, health care and access to government services — ranging from appealing property tax bills to finding out the location and hours of offices. Plus, agriculture isn’t stuck in the past: Tractors are wired with internet access to help plant and harvest, and some farmers are using field-monitoring apps that can find and identify problems like damage from disease and pests.